Available with reverse door swing and reverse sink location. 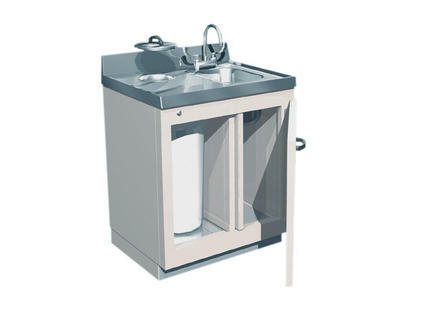 The Sink and Waste Cabinet performs three functions. A stainless steel sink allows the convenience of running water in the hot lab. The space under the sink is used for cold storage. 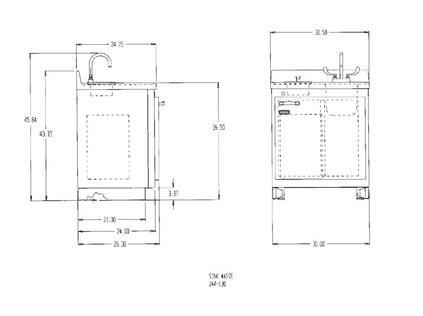 Separated from the sink section by a lead barrier, the waste section includes a shielded port that allows waste to be dropped into a polyethylene container for storage until decayed. Note: Reverse door swing available. Call for quote.